After Winslow successfully launched a similar program, Manchester, Winthrop and Monmouth are looking for ways to lower taxes or protect farmland so it doesn't get developed. A new regional group hopes to help western Kennebec County municipalities help farmers in the face of development pressures and their own mortality. Members of Kennebec West, which so far includes residents from the towns of Manchester, Winthrop and Monmouth, plan to start their effort to help farmers by going directly to their subjects and talking to and surveying farmers, to learn their needs and what the group could do to help. 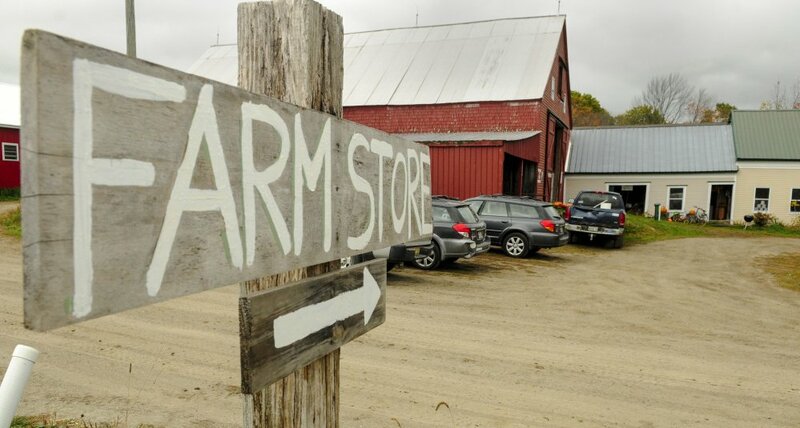 “We’re beginning by talking to farmers and developing a basic survey, to talk to farmers about what they need and what would help,” said Nancy Smith, of Monmouth, a group member, former farmer, former state lawmaker and executive director of GrowSmart Maine. The nonprofit group seeks to build lasting prosperity without sacrificing the quality of life that defines Maine, according to its website. After assessing the needs of farmers in the region, the group hopes to serve as an advocate for local farmers, mainly at the local level, extolling the benefits of preserving farmland to the public and working with municipalities to help protect and preserve the ability of farmers to farm successfully. That could include seeking property tax breaks from towns for some farmers in exchange for agricultural easements that would prevent their farmland from being developed for an agreed-upon number of years. Last week, group members met in Manchester with Stephanie Gilbert, farmland protection specialist with the state Department of Agriculture, Conservation and Forestry, to hear about the Volunteer Municipal Farm Support Program, which allows municipalities to ease the property tax burden on local farms and other agricultural enterprises. Last year, the town of Winslow adopted the first such program in the state, and since then it has approved the first applicants for it. Now Monmouth officials are considering starting a similar program, after being approached by some local dairy producers who heard about Winslow’s experience. Smith said such programs can provide communities a way to reduce a farmer’s property taxes significantly in exchange for a long-term, perhaps 20 years, agricultural easement on the land to allow the landowner to continue farming and prevent development of the land. 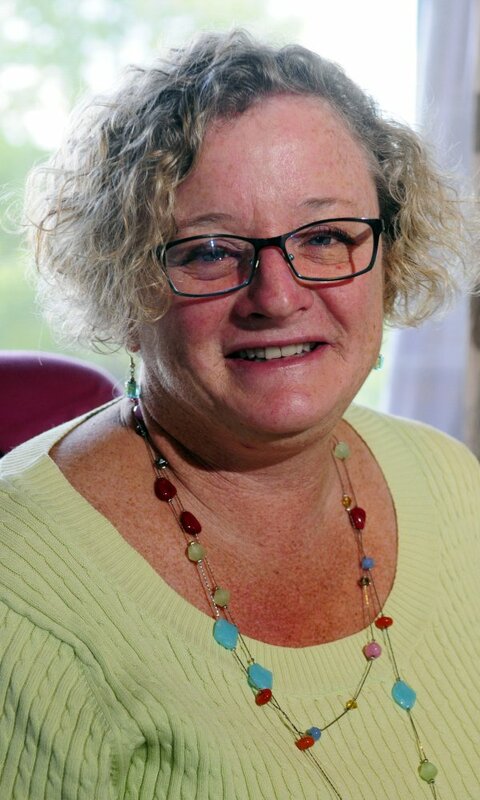 She noted farms generally don’t require much in the way of public services from the municipality in which they are located, at least compared to the services that would be required if farmland were sold off and developed with housing. 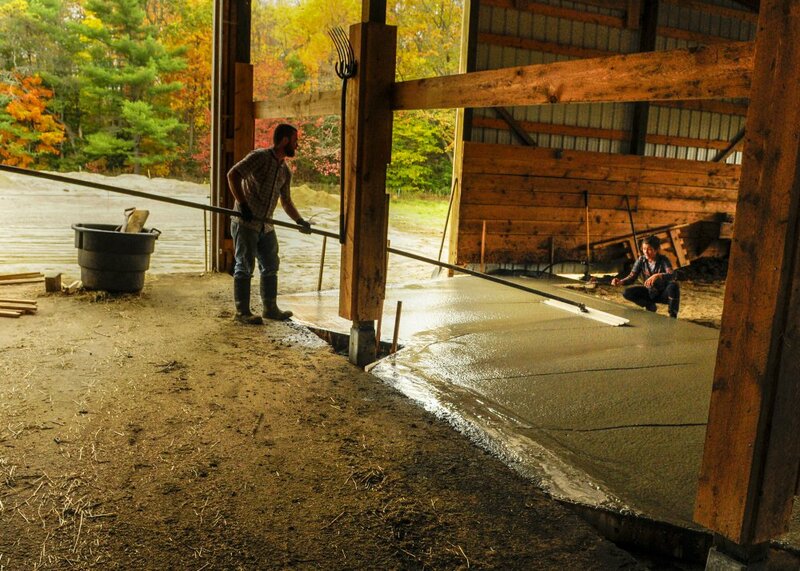 If anything, the expenses of farming have risen in recent decades, according to one of the dairy farmers in Monmouth, who is urging that town to take the same approach as Winslow. In addition to the expense and risk inherent in farming, challenges to farmers also include pressures, or temptation, to sell their land to a developer, or develop it with housing themselves. 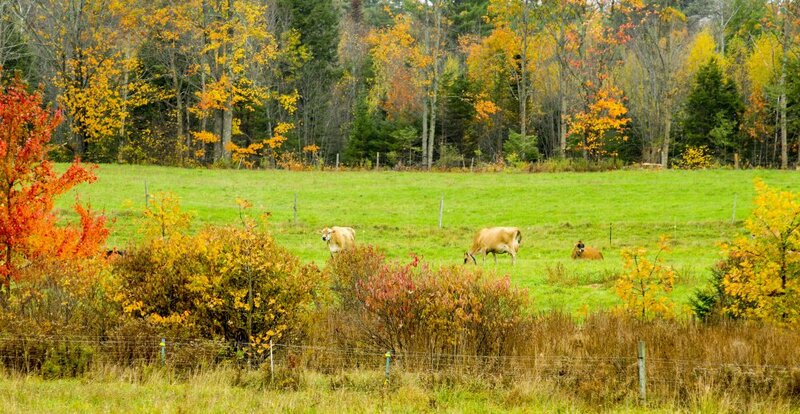 Like the rest of the population of Maine, the oldest state in the nation in terms of average age of the population, farmers are aging; and at some point, most people would like to be able to retire. The other Monmouth dairy producers who are urging the town to consider adopting a tax relief program are Andy Smith — who also is not related to Nancy or Jeremiah Smith — and Caitlin Frame. 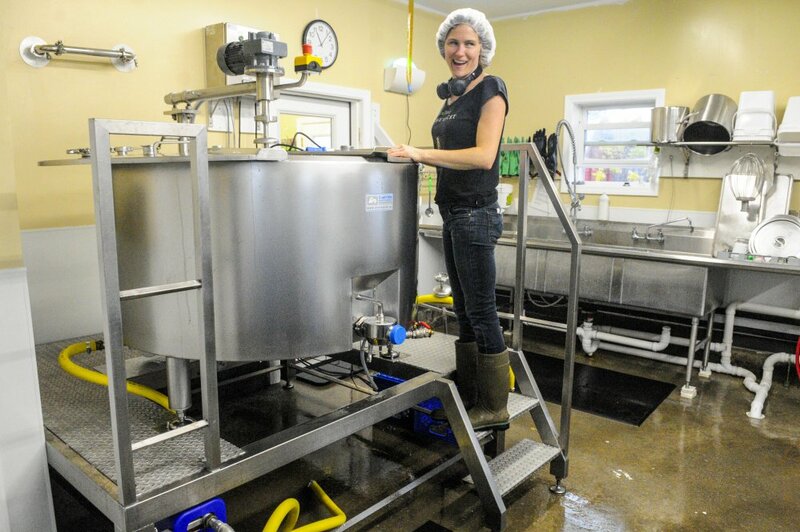 They run the Milkhouse, an organic creamery and dairy farm. 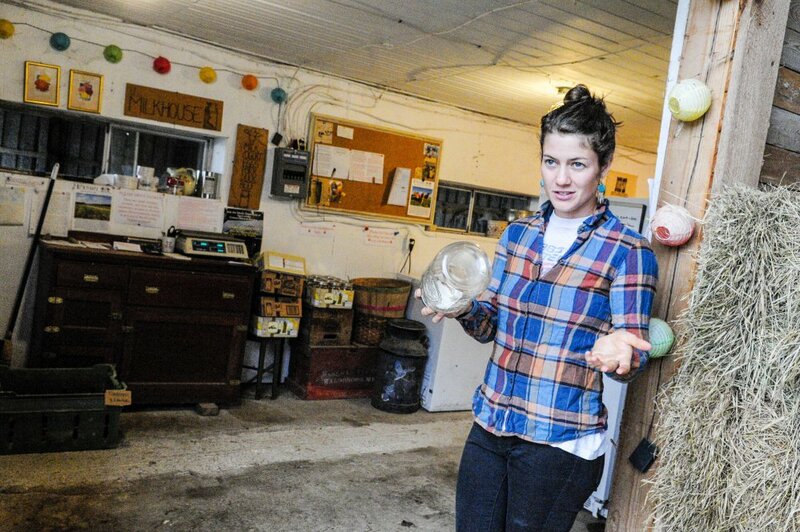 At 30 years old, both are relative newcomers to farming. While they plan to apply for any programs that the town creates, Andy Smith said, he also hopes that more-established farmers in Monmouth will consider applying so they can receive a tax break and their land can receive an agricultural easement rather than being converted into house lots. 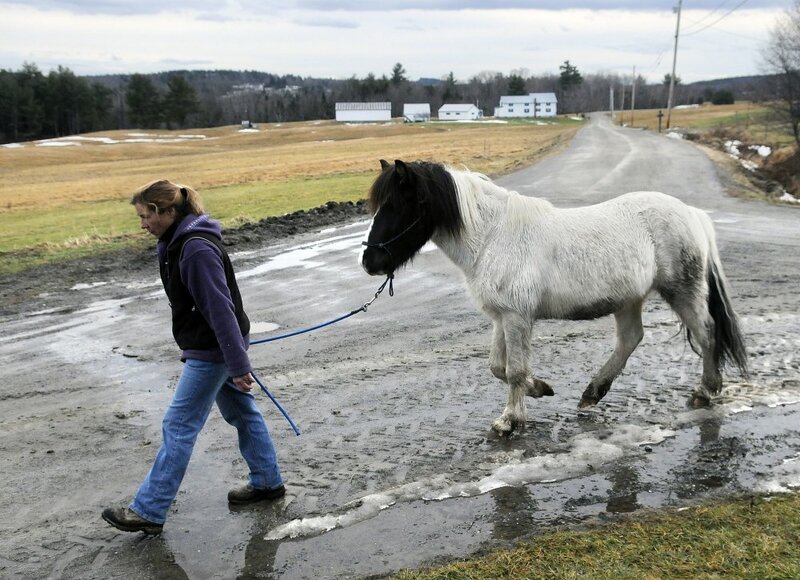 One area farmer who may be approaching that decision is Deb Plengey, of Maine Lee Morgan Horse Farm in Manchester. Plengey’s farm sits on about 250 acres within 2 miles of Augusta and primarily grows hay. At 66, she intends to either sell or pass the farm on at some point. 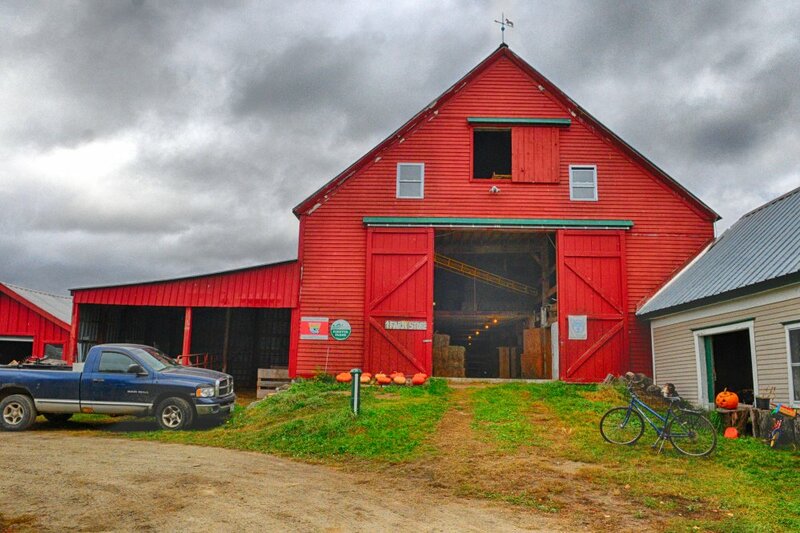 Plengey also said the group plans to help spread information, in the region’s towns, about the right to farm in Maine. “It would be helpful if towns understand the right-to-farm law, so if people move in next to a farm, … we can continue to have the right to farm, to spread manure, to do what we need to do within the best practices,” she said. Benefits of farmland, group members said, include the preservation of open space, which in turn can provide scenic vistas, recreational opportunities and wildlife habitat. Efforts meant to benefit farming in the region will be funded in part by a $6,200 Davis Conservation Foundation grant that the Manchester Conservation Commission received this year, which will help pay for mapping, project management, printing and copying, and a harvest dinner the group plans to host in February 2018 to celebrate farming and share the results of their efforts so far, according to Anne Reiter, a member of the Manchester Conservation Commission who is working as a paid project coordinator for Kennebec West. Kennebec West can be reached, for more information or to participate, by email at [email protected] or by calling Reiter at 313-0388. Smith noted the regional approach the group is taking makes more sense than each town working on similar issues separately, so towns can learn from each other. In addition to Monmouth, Manchester and Winthrop, group members also have met with officials in Readfield and Wayne.